Posted by Ali Kane on Wednesday, January 2nd, 2019 at 1:30pm. Every year the Palm Beach International Equestrian Center in Wellington hosts its Winter Equestrian Festival. The festival is the world’s premier equestrian event. The festival offers competitions for professional equestrians, adult, junior, and children amateur in 70 unique divisions. The competition and festival runs for 12 weeks and participants range in age from 2 years to 70 years old with more than 6,000 horses and more than a half a billion dollars in prices. The festival is the longest and largest running horse show that only sees the best riders of their class from more than 42 countries. The show’s week start on Wednesday and end on Sunday, with the major competitions featured on Saturday nights in the International Arena. 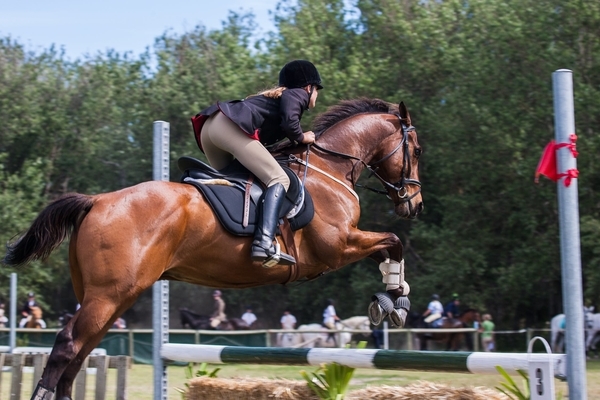 The festival starts on Wednesday, January 9th through Sunday, March 31st at the Palm Beach Equestrian Center at 3400 Equestrian Club Drive in Wellington. The grounds of the Equestrian Center feature a family friendly village with unique boutiques, jewelers, high-end fashion, art galleries, coffee bars, a children’s area, and an Oasis Café. Click here to see the show’s schedule for the week. All events are scheduled rain or shine. Admission for all of the horse shows and events is free and no tickets are required to attend.